The presence of northern Irish buyers in cattle marts over the past couple of days has had a positive impact on the store trade. Cross-border buyers were very active in Mohill Mart on Saturday, according to the Manager Steven Hannon, with muscled Charolais and Belgian Blue store heifers their main target. Hannon said 800 heifers passed through the ring in the Co. Leitrim venue, with 150 of these heifers heading north for an average price of €2.60/kg. The mart manager said northern buyers targeted forward store heifers for finishing, with a lot of these heifers weighing from 500-600kg. 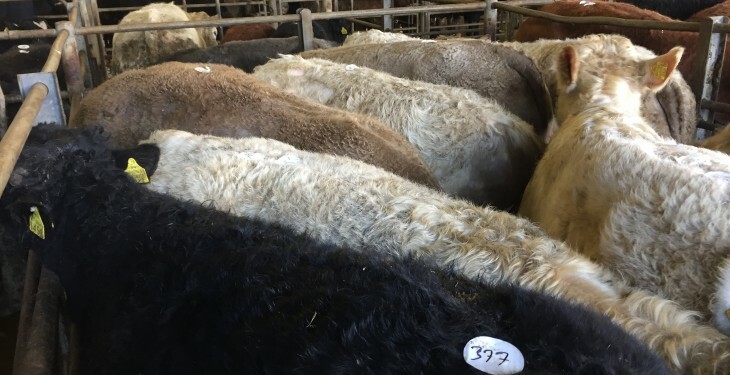 A similar trend was also seen in Tullow Mart, where northern customers and factory agents were very active for forward cattle, according to the Mart Manager Eric Driver. Driver said that the trade remained steady for beef steers, which made €780-950 over, while the forward steers traded from €650-880 over. He also said the forward store heifers sold from €550-825 over. Northern agents were also active in Mayo-Sligo Mart on Tuesday last, according to the Mart Manager Billy Loftus. 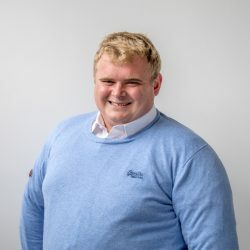 Loftus said the stock on offer met with plenty of competition, especially for store cattle, with northern agents actively looking for in-spec cattle. He said that numerous agents have orders to fill for store cattle and they will be anxious to make purchases to meet these orders in the coming weeks. There was a special sale of breeding and store heifers in Mohill Mart on Saturday, according to the Mart Manager Steven Hannon. Hannon said there was demand from both northern and grass buyers for the heifers on offer. He said lots purchased for export to the north traded from €2.37-3.11/kg. Heifers needing a summer’s grass prior to finishing (400-480kg) where also in good demand from farmers from every part of the country and these lots generally sold from €2.49-2.83/kg, he said. However, despite the strong trade for the store heifer, Hannon said heavy beef heifers are a little harder to sell since the factory price cuts on weights were introduced. These lots generally made €2.15-2.25/kg. 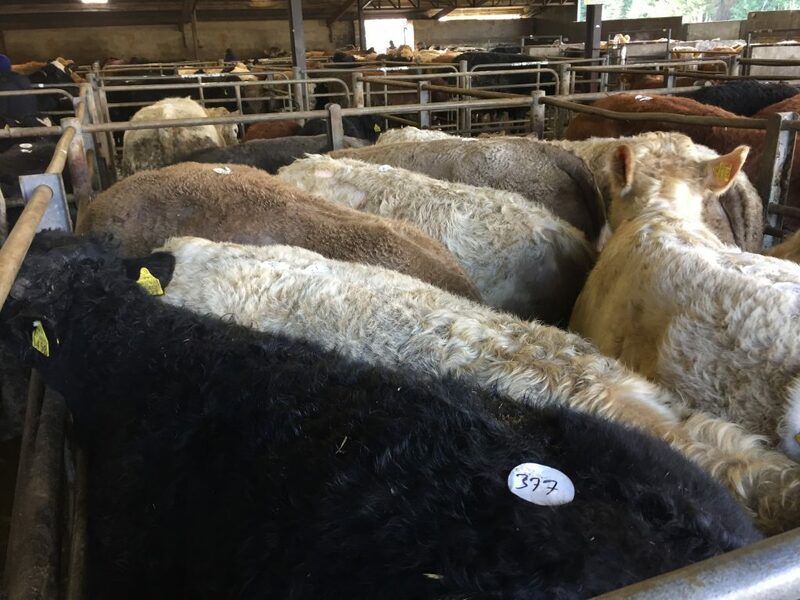 There was strong demand for all stock on offer in Mayo-Sligo Mart on Tuesday, according to the Mart Manager Billy Loftus. Loftus said that forward steers and heifers sold from €470-780 over and €440-790 over respectively. He also said there was a good entry of weanlings on offer, with bulls trading from €2.51-2.91/kg, while their counterpart heifers made €3.02-3.41, on the back of increased farmer demand. There was particularly good demand for continental feeding cows, with these lots making €1.70-2.15/kg, while in-calf cows made from €1,300-1,700, he said. Over 400 cattle passed through the ring in Tullow Mart on Friday, with the trade remaining steady for all lots, according to the Mart Manager Eric Driver. Driver said that farmers continue to drive the trade for the lighter stores, with steers sold from €2.00-2.90/kg and heifers made €2.20-2.80/kg. The trade continues to remain steady for beef and forward cattle. The hammer fell on the beef steers from €780-950 over, while the forward store steers sold from €650-880 over. Beef and forward heifers also remained in demand and these lots traded from €620-930 over for the forward store types, while the beef heifers made from €550-825 over, he said. Driver also said that cull cows continue to remain in good demand and these lots sold from €180-620 over.